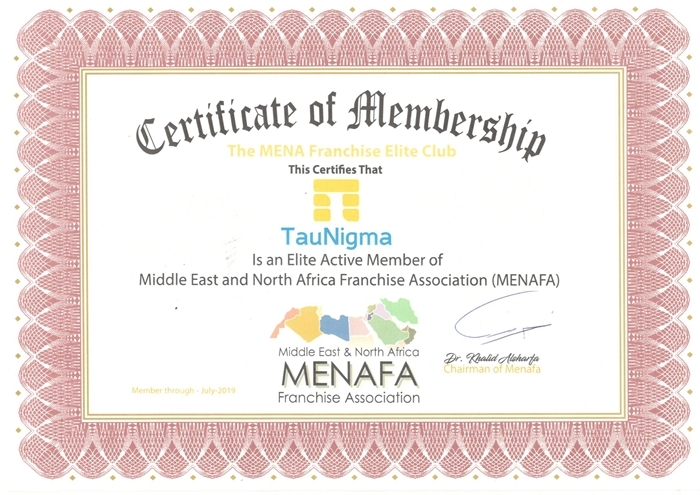 For the fourth year in a row, Taunigma is a member of the Middle East and North Africa Franchise Association. MENAFA is the largest franchise organization. Its activities are aimed at providing quality brands, comprehensive support for franchising businesses and help to strengthen the company's position in the region. 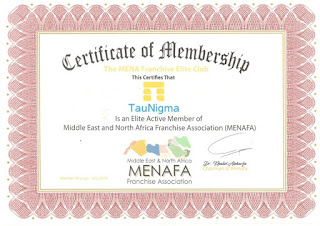 Extension of MENAFA membership and receipt of the relevant certificate indicates the high reputation of our company, its importance and potential for further development. Being a part of MENAFA is prestigious, effective and, moreover, it brings many benefits: an excellent opportunity to be up to date with the latest industry news, visit profile events, share experiences and establish promising business relationships.